"Blipp Builder not "Builder" Friendly "
I really like the expanded capabilities that Blippar offers in AR. From Geo tagging to layered content (you can have multiple types of content appear in succession), it really delivers on the promise of impressive tech for people scanning the blipps (that's what they call your content). Also, being able to control how content comes in (flying in from the left, dissolving in from above, etc.) is a really neat feature that again, makes the tech VERY cool for the user. While the user experience for the person scanning the blipps is great, I am very disappointed with the user experience for the builder (person creating said blipps). After using Layar for several years (Layar is a sister AR company under Blippar), I know a fair amount about creating scannable items for AR and I consider myself tech savvy. But Blipp Builder completely confounded me. It has a clunky interface and the steps in the process of how to build Blipps is not intuitive at all. I watched several tutorials they provided (over an hour's worth) and still have trouble creating even the simplest of Blipps. If you don't need SDK or if your staff does not have the time needed to learn the complicated programming involved with Blippbuilder, I would stick with Layar. It's easier to use and has most of the same capabilities. We switched from Layar to Blippar for its SDK capabilities and its expanded library of features. We want our marketing materials to be on the cutting edge and engaging for our prospective families. AR technology definitely fits the bill, even though we've had trouble using Blippbuilder effectively due to its poor interface and confusing processes. * We monitor all Blippbuilder reviews to prevent fraudulent reviews and keep review quality high. We do not post reviews by company employees or direct competitors. Validated reviews require the user to submit a screenshot of the product containing their user ID, in order to verify a user is an actual user of the product. Hi there! 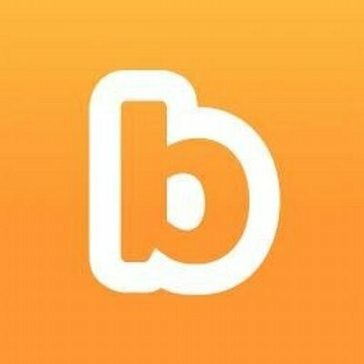 Are you looking to implement a solution like Blippbuilder?